This Aquatica High Wall-Mounted Shower Arm has been created for the ‘modernist’ of today. Designed to suit the Aquatica Rainbow and Dynamo Dynamic shower heads, and manufactured using the most modern technologies and eco-friendly materials available, this shower arm comes with a feature cover plate, including a bracket kit and filter. The pipe itself, which has been constructed wider than most (Ø 1.18 in / Ø 30 mm), allows a higher flow rate of water and in addition to all this, the innovative water filter which is integrated into the pipe head, will also help in preventing any damage to the water turbine. 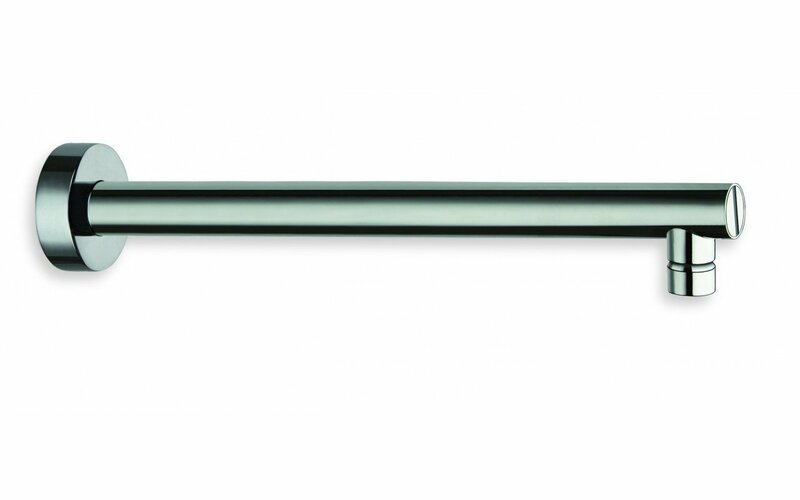 This gorgeous Chrome Shower Arm is also available in Matte White and Matte Black. Should be used when the water outlet is higher than 86.6in.